Built 1889-1893. Opened 29 Apr 1893. Also known as "Teatro Municipal Emiliano Vengoechea". Demolished. 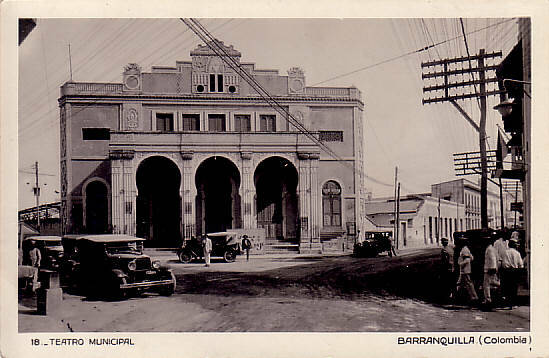 Front Text: "Teatro Municipal - Barranquilla (Colombia)"